Door has a sign: Yahoo! Board Meeting / DO NOT DISTURB. Man: HELP!! Warren Buffett's gone crazy! 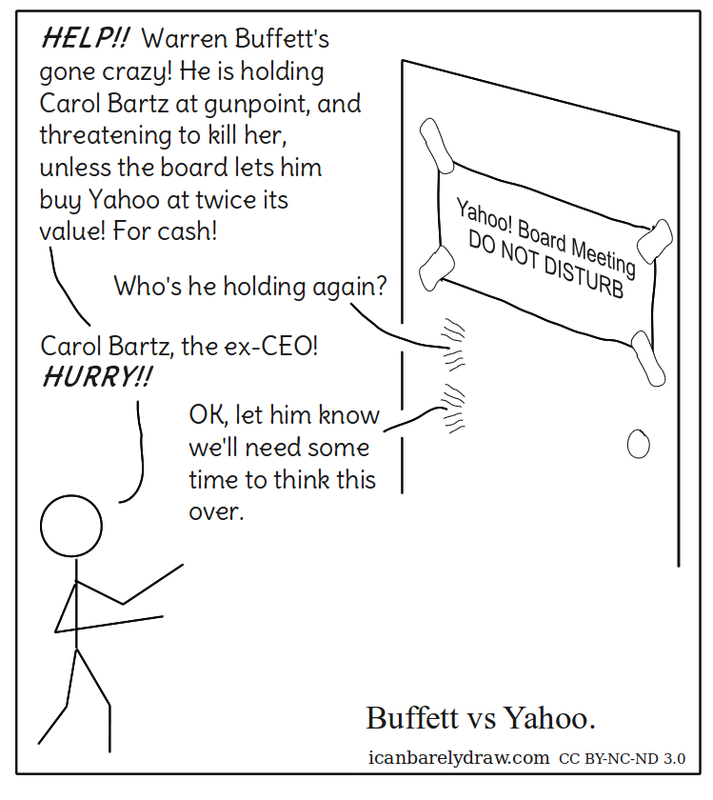 He is holding Carol Bartz at gunpoint, and threatening to kill her, unless the board lets him buy Yahoo at twice its value! For cash! Voice from inside door: Who's he holding again? Man: Carol Bartz, the ex-CEO! HURRY!! Voice from inside door: OK, let him know we'll need some time to think this over.